Voted Best Shaving Lotion by Cosmopolitan Beauty Award Winners 2008! Highly concentrated oil-free shaving gel transforms into a rich lather. 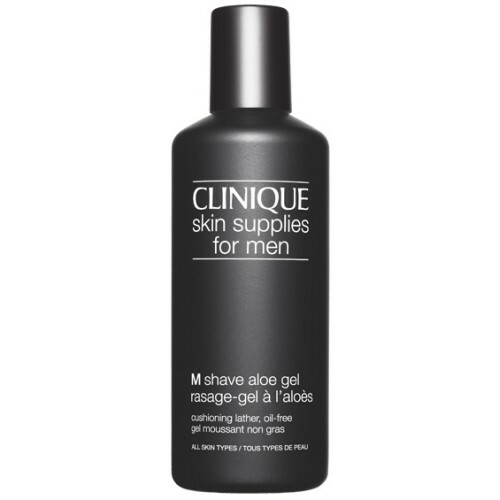 Softens and cushions even the heaviest beards for smooth, close shaves. Contains aloe to help calm razor burn. Use daily after cleansing skin. Dampen beard area. Lather up a coin-size dab of M Shave Aloe Gel between palms and smooth over beard. Shave with a fresh, sharp blade following the direction of hair growth. Rinse well and towel dry. Rinse blade under hot, running tap water to avoid razor clogging. it's too expensive and no better than cheaper products. A difficult product because it's quite good but no way is it worth the money. It doesn't foam a great deal and it doesn't last time. In general it works well but it doesn't do anything that any other (and cheaper) products do at least as well.